Love Mei is in the heavy duty case master class and the Unicorn Beetle Pro is a great example of its work. 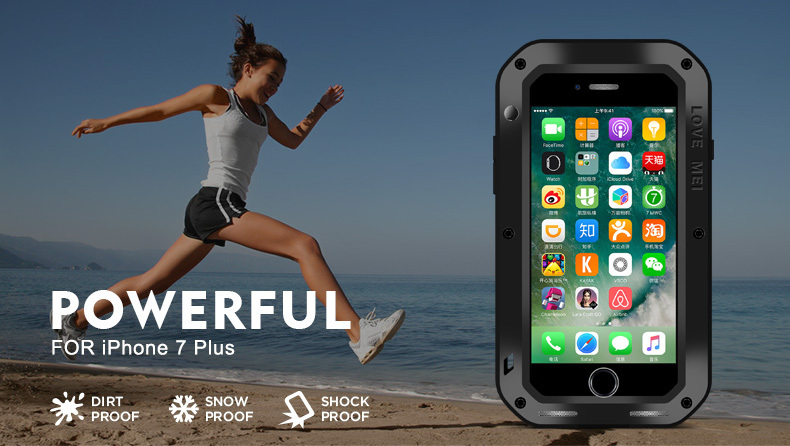 As with many heavy duty cases, this one comprises a softer, flexible TPU body and a hard polycarbonate shell, which gives you excellent shock absorption and defence against scratches and dings. You get a built-in screen protector with this one and it comes with a handy belt clip, just in case it feels a bit too bulky in your pocket. The Lightning port is covered so that you’re not getting any dirt and dust in there (even though the iPhone 7 Plus has an IP67 rating, the Lightning port is still a hole and can still collect dirt), and the buttons are covered, but you still get a tactile response. You can look here: Love Mei Powerful iPhone 7 Plus Case, CaseMe iPhone 7 Plus Wallet Case, iCarer iPhone 7 Plus Genuine Leather Case, iCarer iPhone 7 Plus Vintage Case, etc.